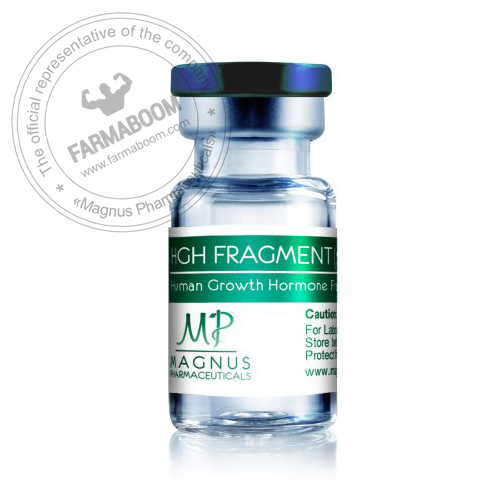 HGH frag 176-191 is a real sensation in the field of weight loss and burning of subcutaneous fat. 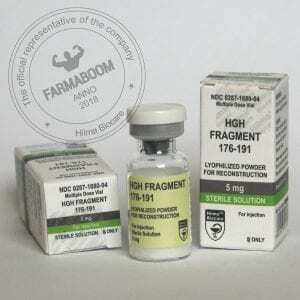 Fragment 176-191 is a stabilized analogue of a growth hormone releasing factor (somatoliberin). Scientists from Monash University, Victoria, found that the effect of reducing the fat mass of Growth Hormone (GH) is controlled by a small area located at the end of the GH molecule. This site consists of amino acids 176-191, accounting for less than 10% of the total size of the GH molecule, and has no effect on growth and insulin resistance. Thus, this drug has one single effect – it stimulates fat burning (lipolysis) and makes it 12.5 times more effective than HGH, and also significantly slows down lipogenesis (formation of fatty acids). In terms of its effectiveness, it is the number one drug in the world. No other in its effectiveness can be compared with the peptide HGH 176-191. You will notice the results in a couple of weeks. Also, a number of studies tell us that regular use of this drug increases the level of IGF-1, giving away some of the fragments, thereby slowing down the aging process.